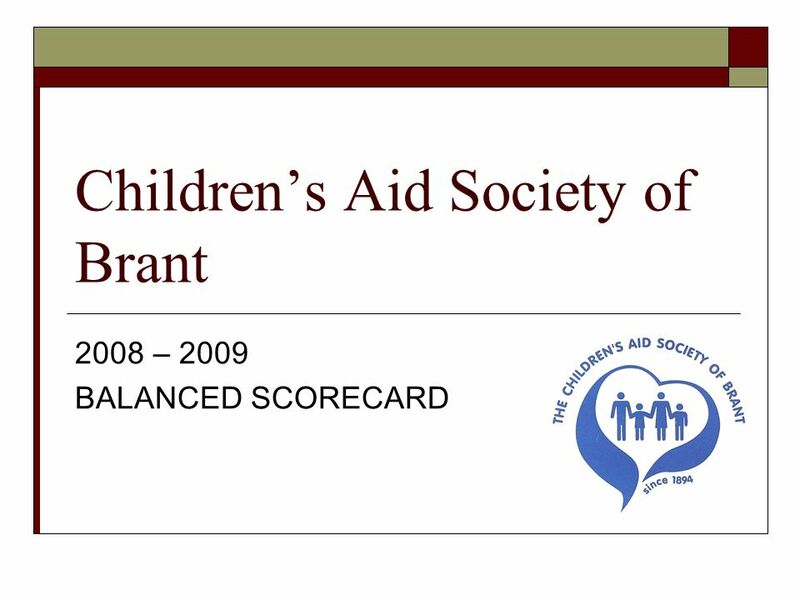 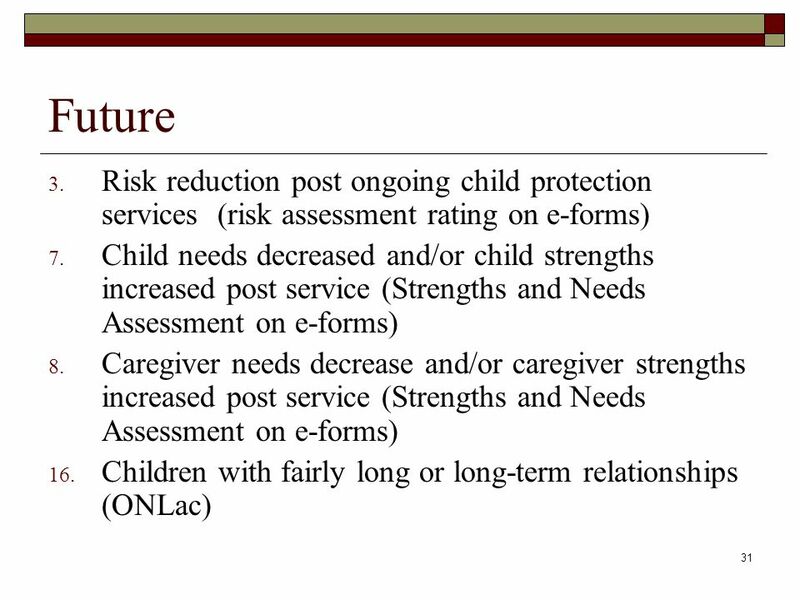 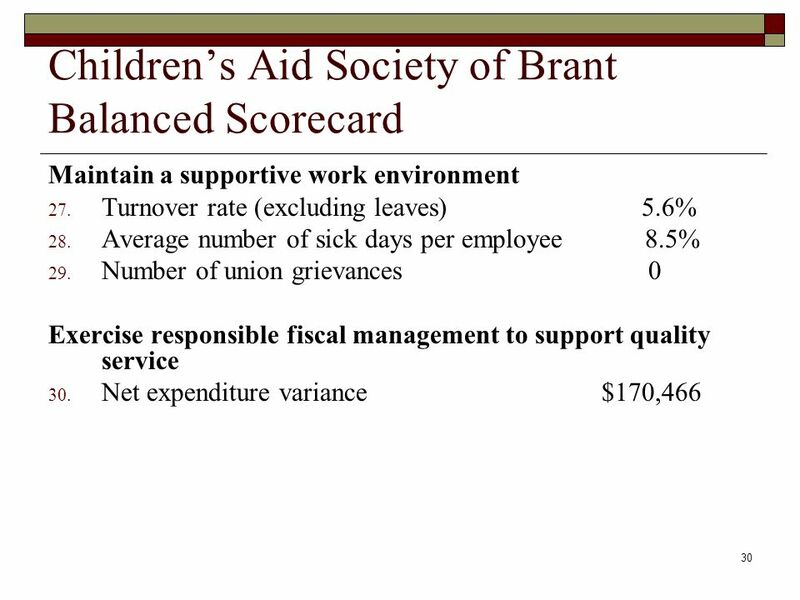 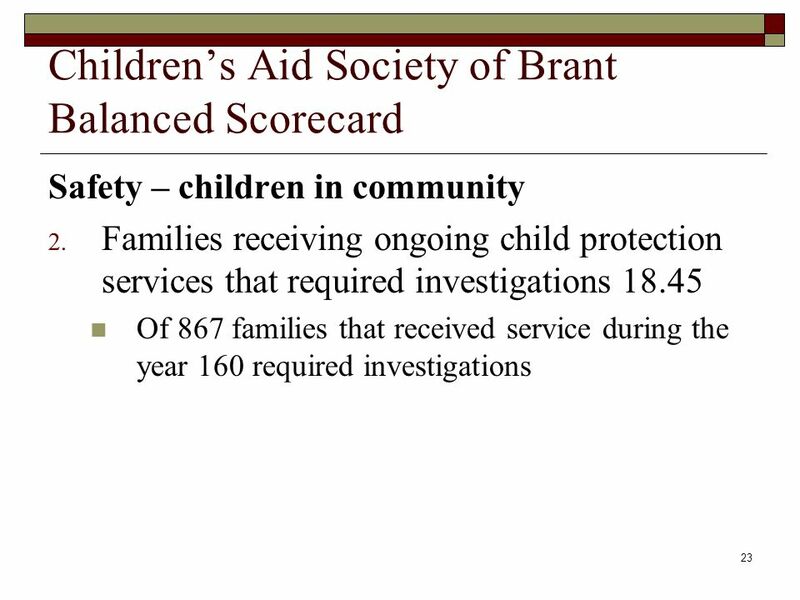 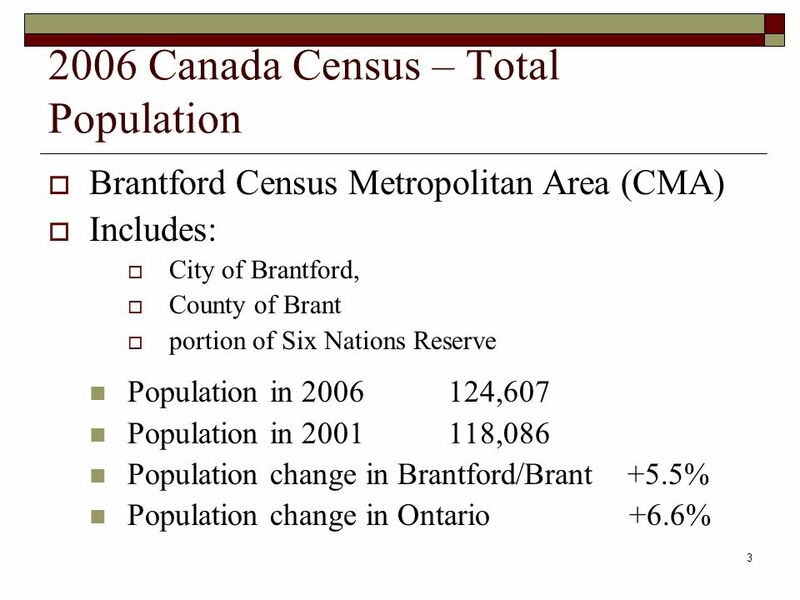 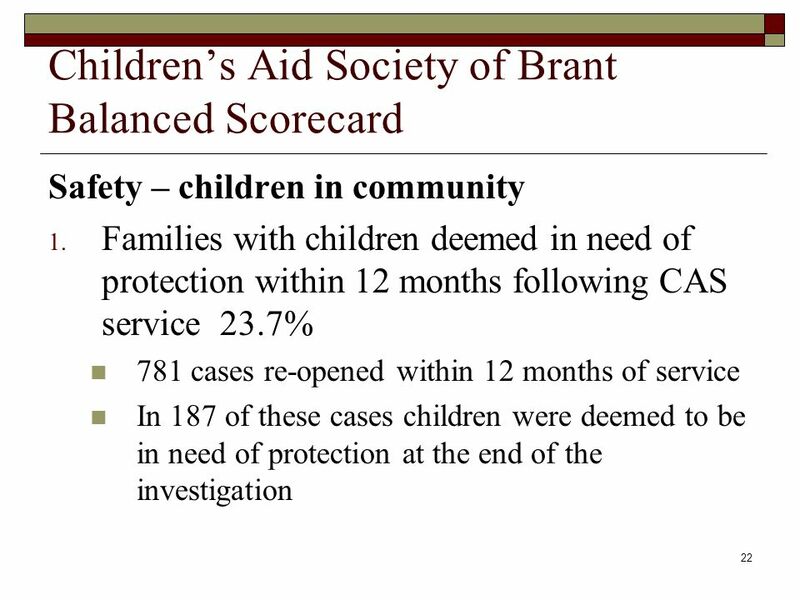 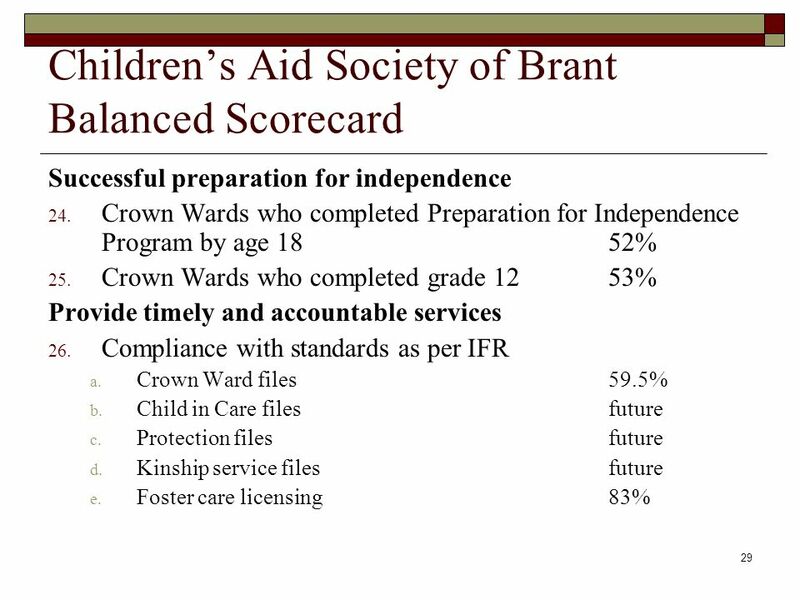 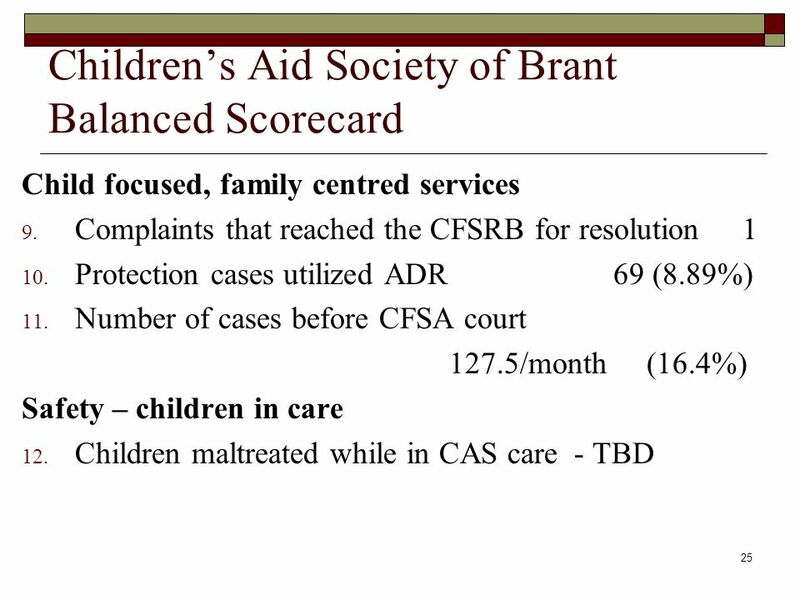 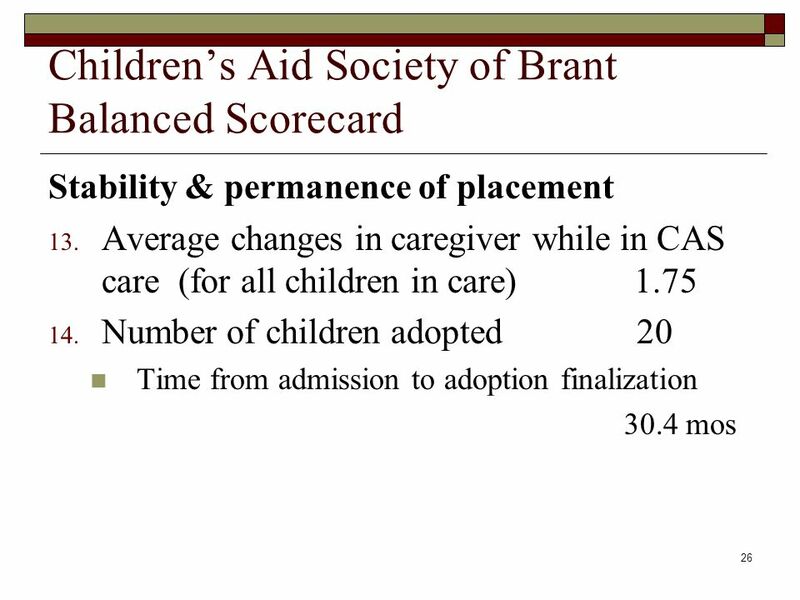 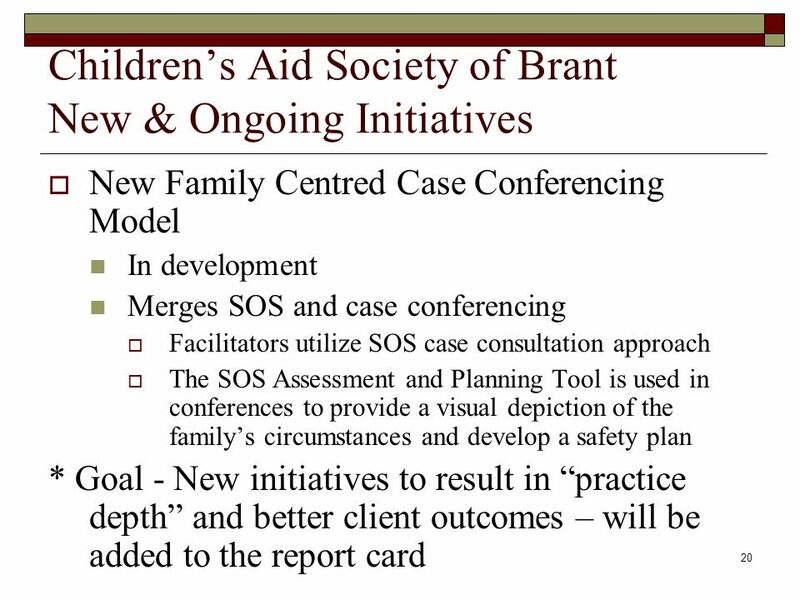 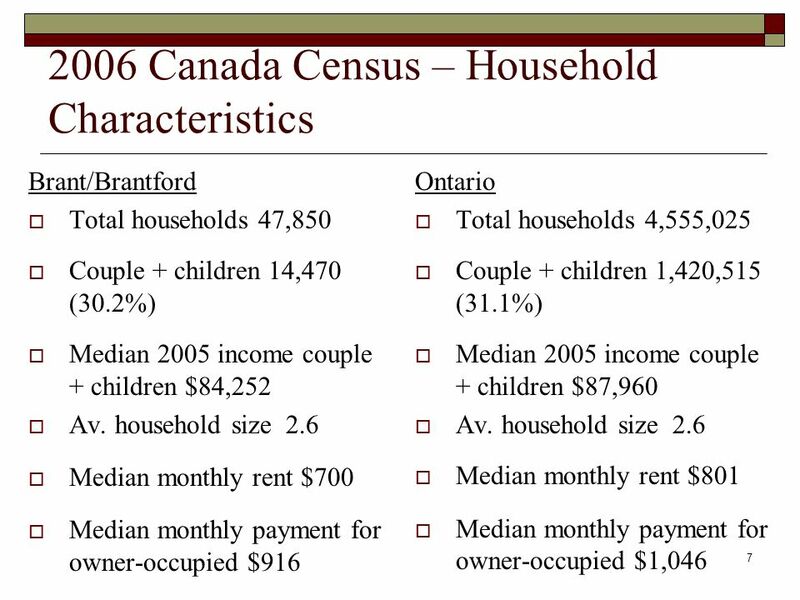 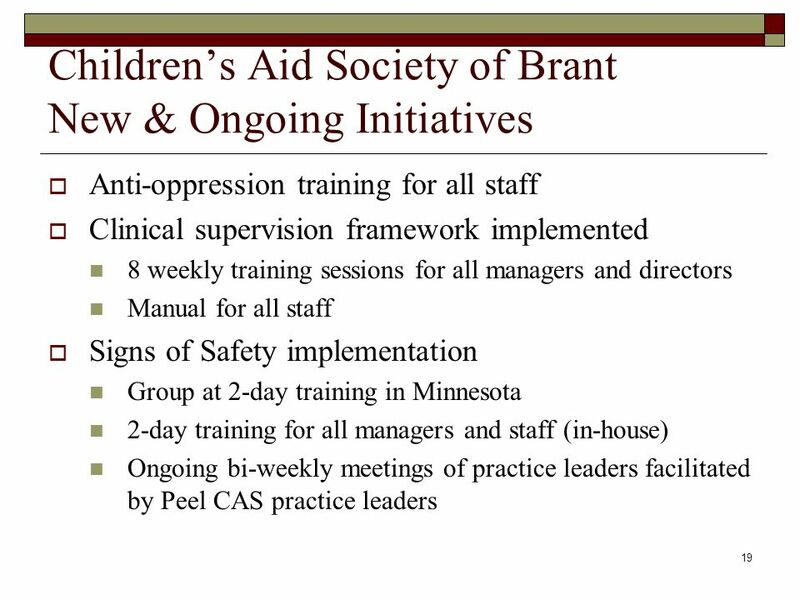 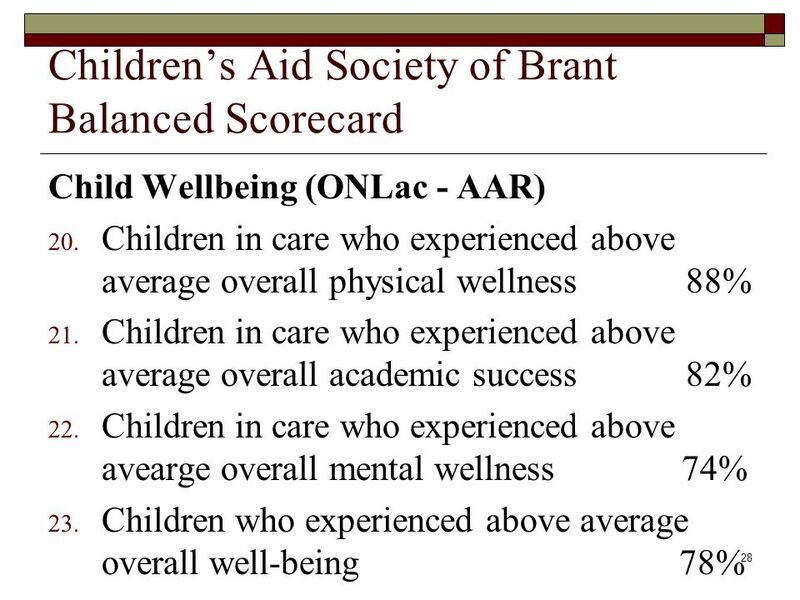 Childrens Aid Society of Brant 2008 – 2009 BALANCED SCORECARD. 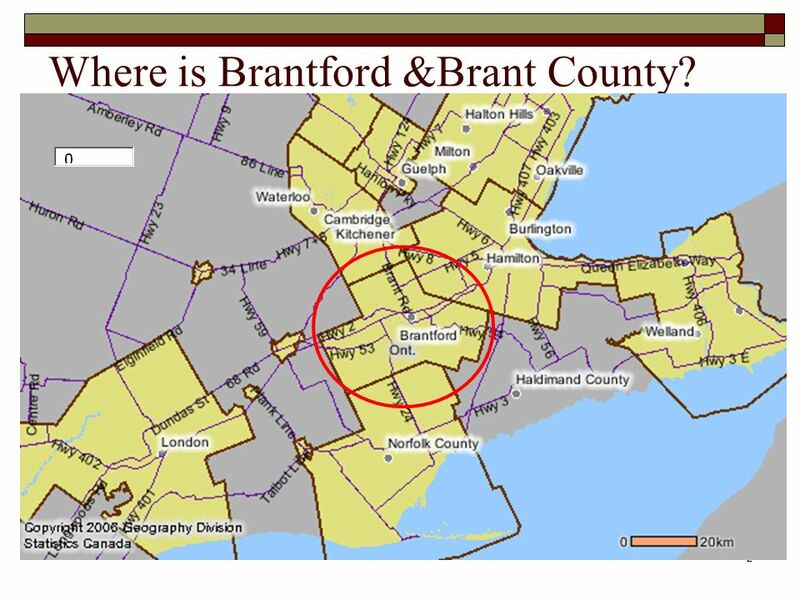 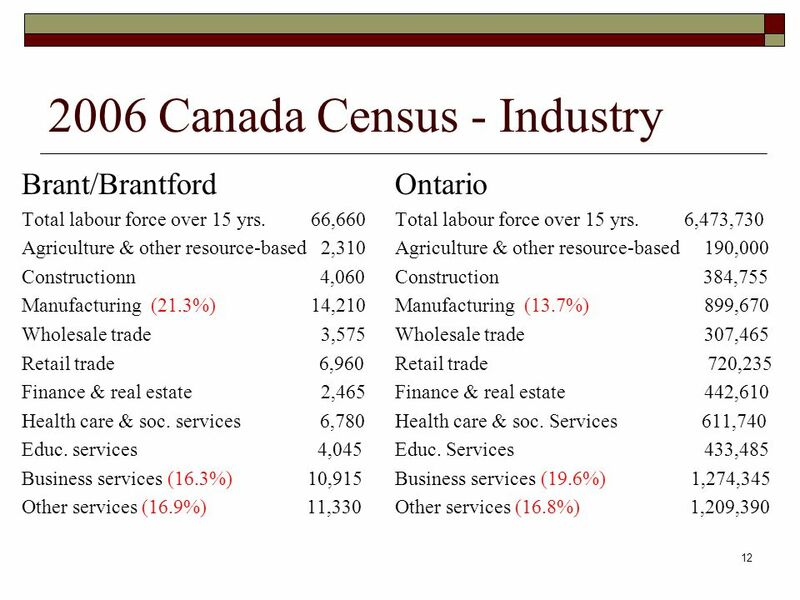 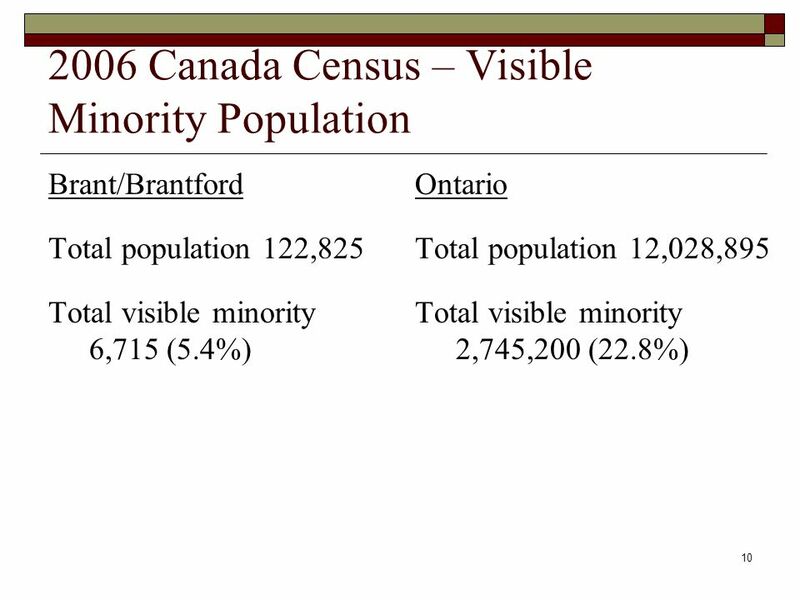 2 2 Where is Brantford &Brant County? 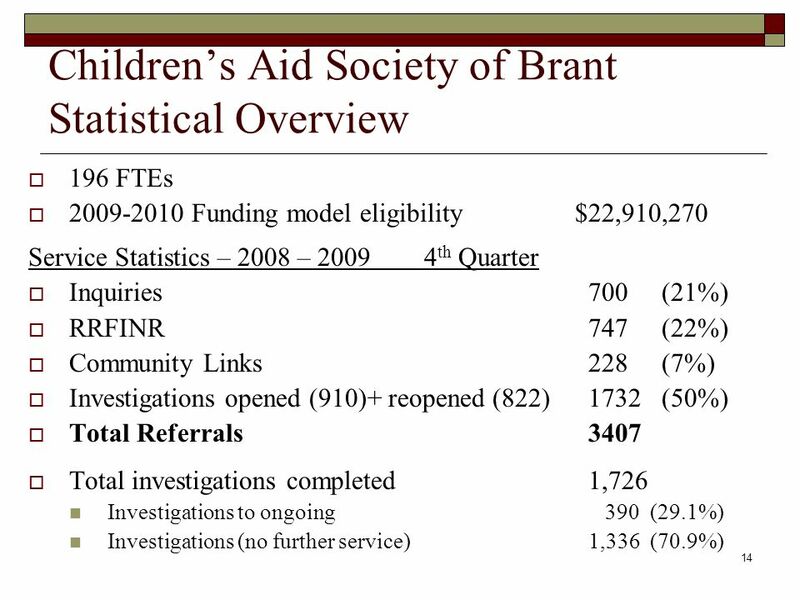 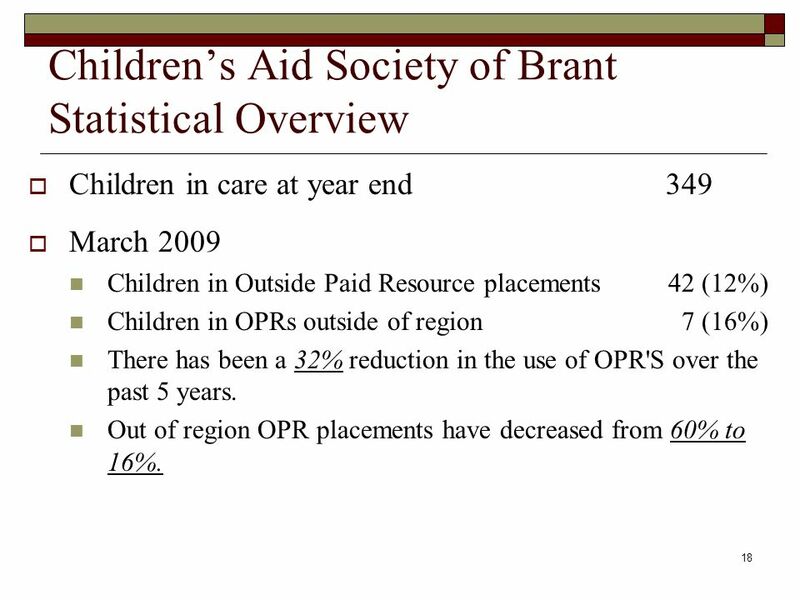 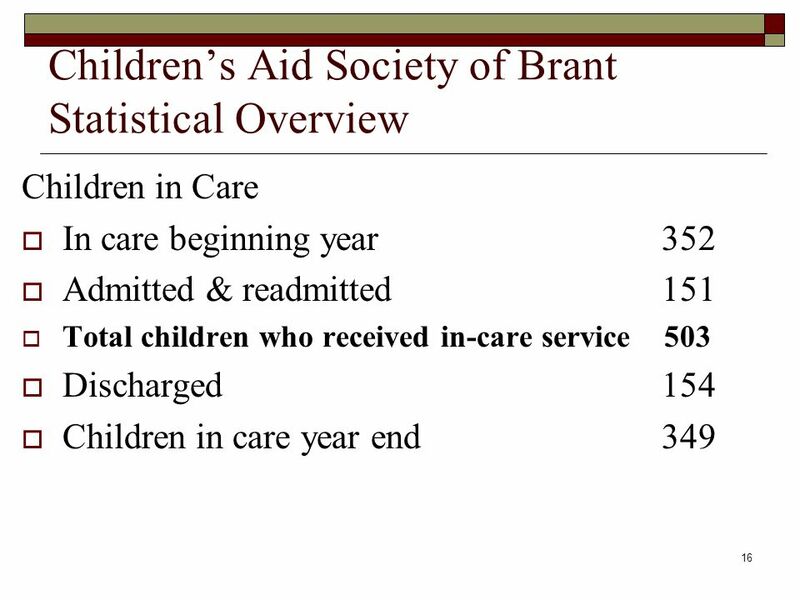 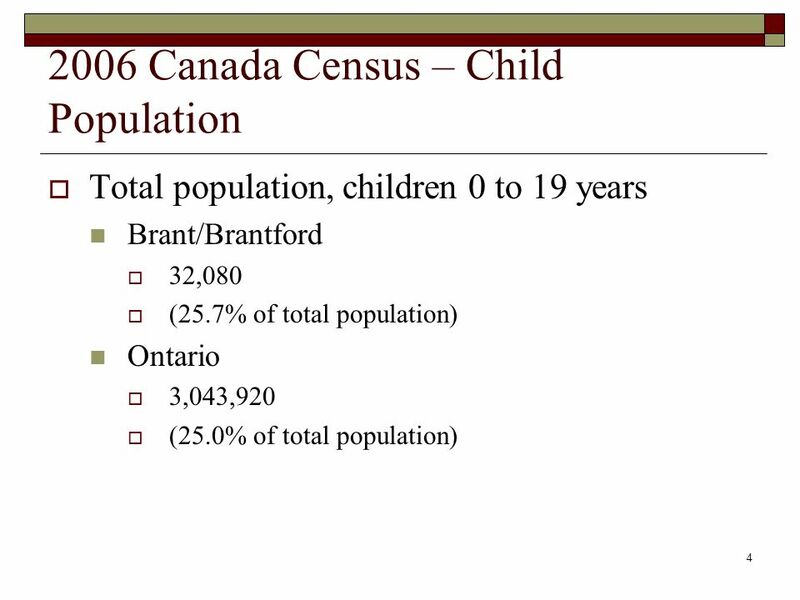 18 18 Childrens Aid Society of Brant Statistical Overview Children in care at year end 349 March 2009 Children in Outside Paid Resource placements 42 (12%) Children in OPRs outside of region 7 (16%) There has been a 32% reduction in the use of OPR'S over the past 5 years. 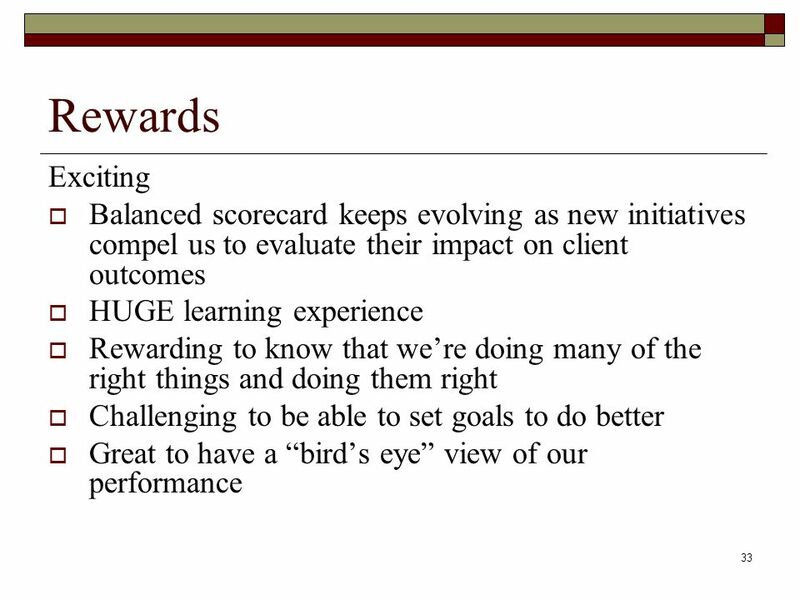 Out of region OPR placements have decreased from 60% to 16%. 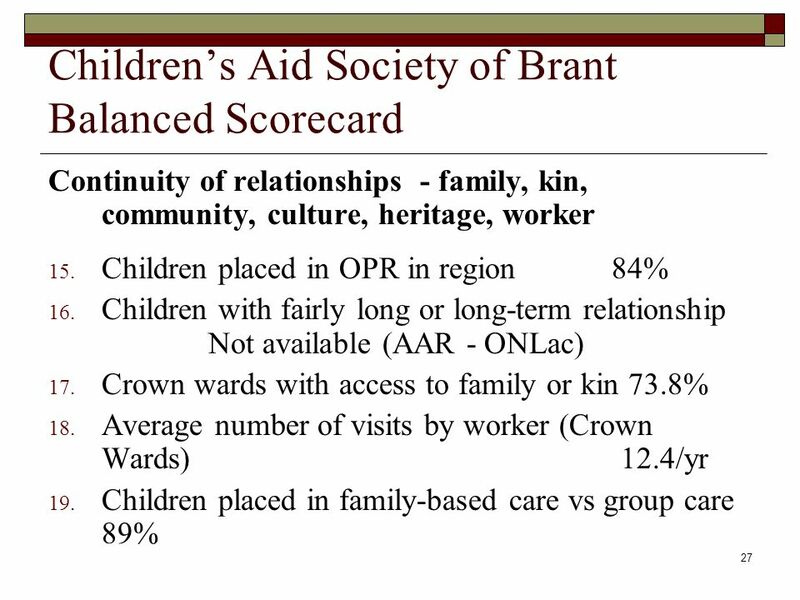 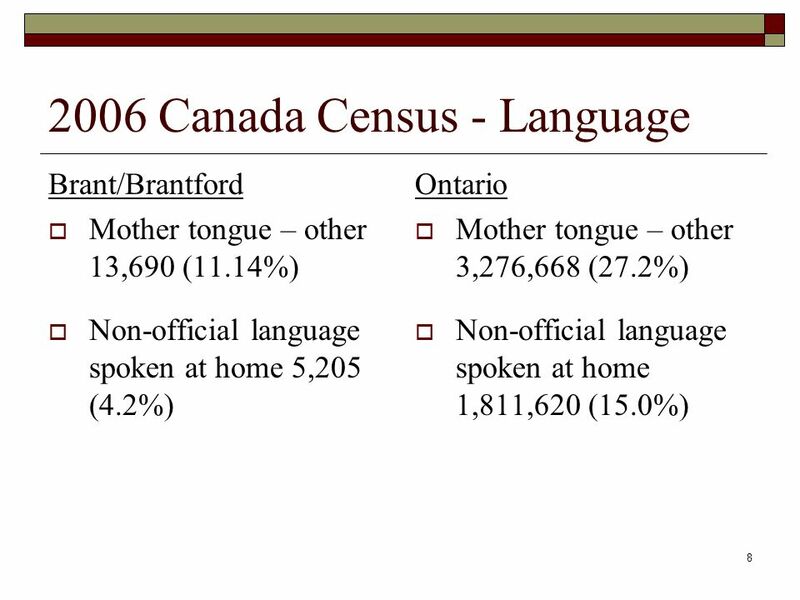 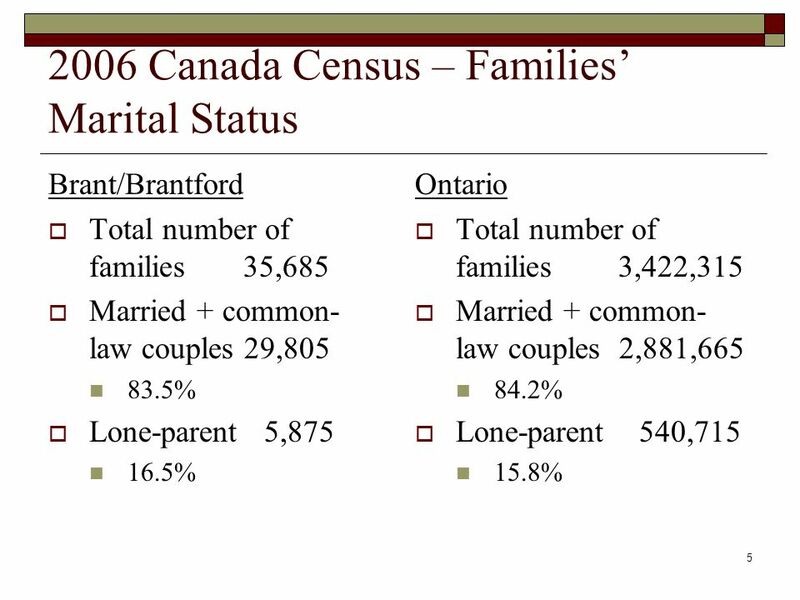 24 24 Childrens Aid Society of Brant Balanced Scorecard Children have permanence in birth or kin family 4. 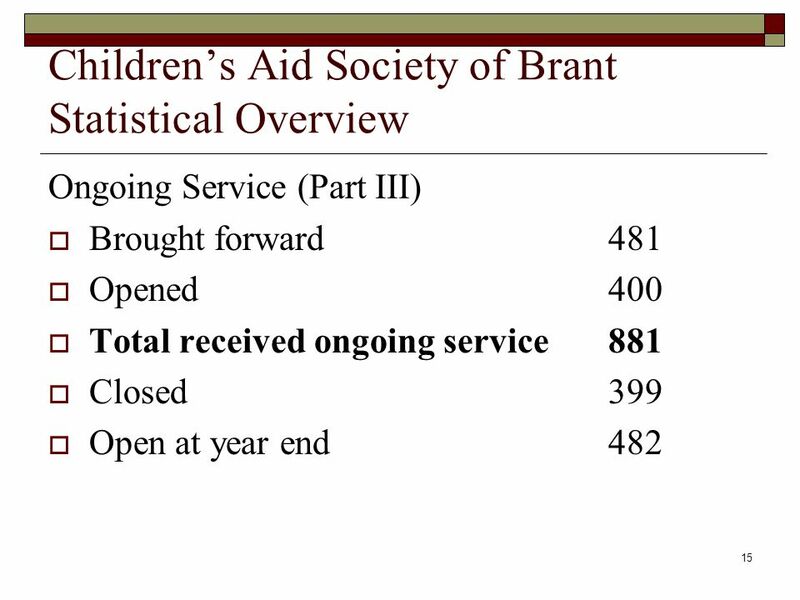 Children receiving service in own family 94% 5. 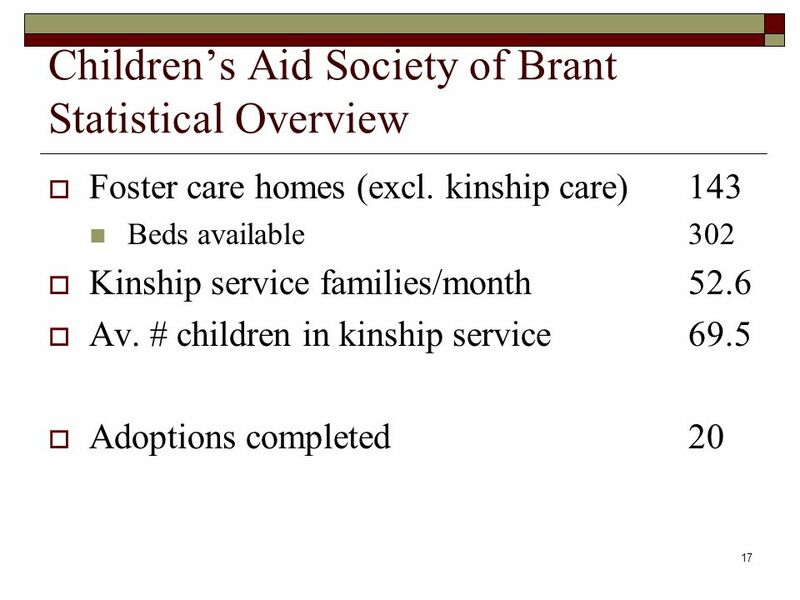 Average number of children in kinship service homes per month 69.5 6. 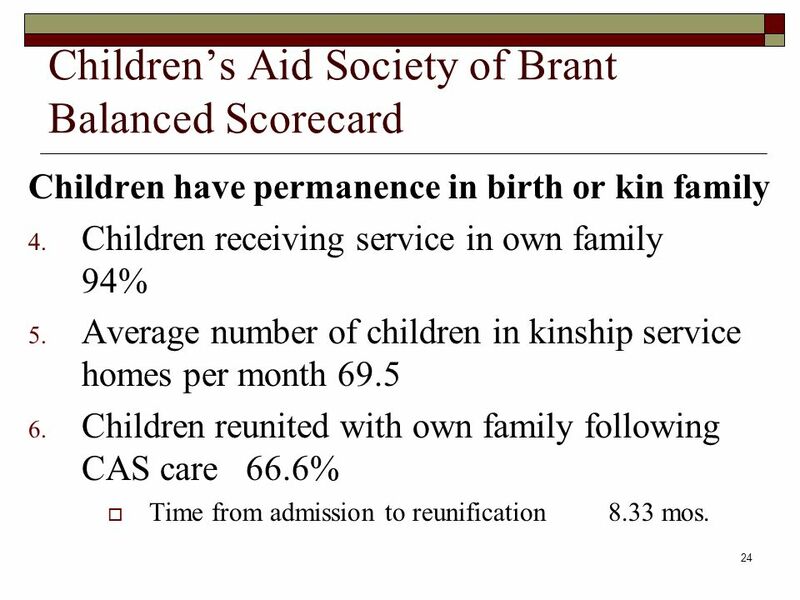 Children reunited with own family following CAS care 66.6% Time from admission to reunification 8.33 mos. 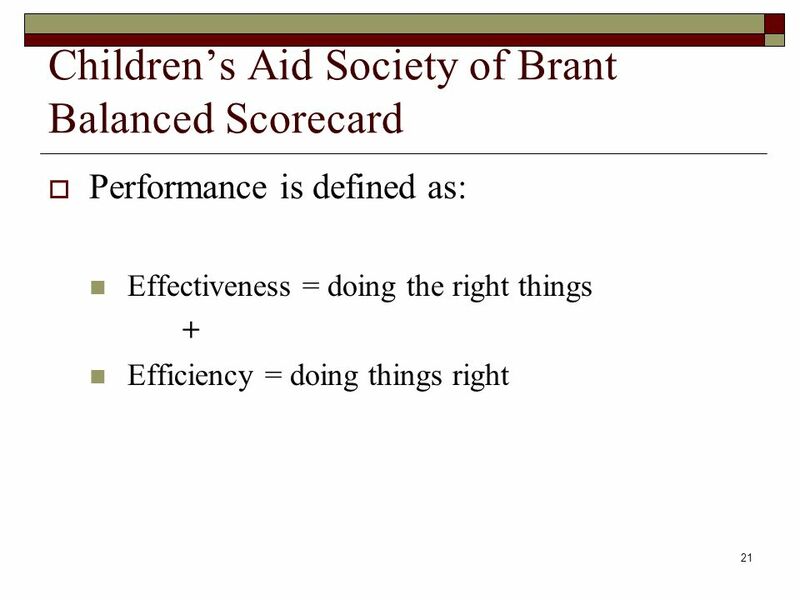 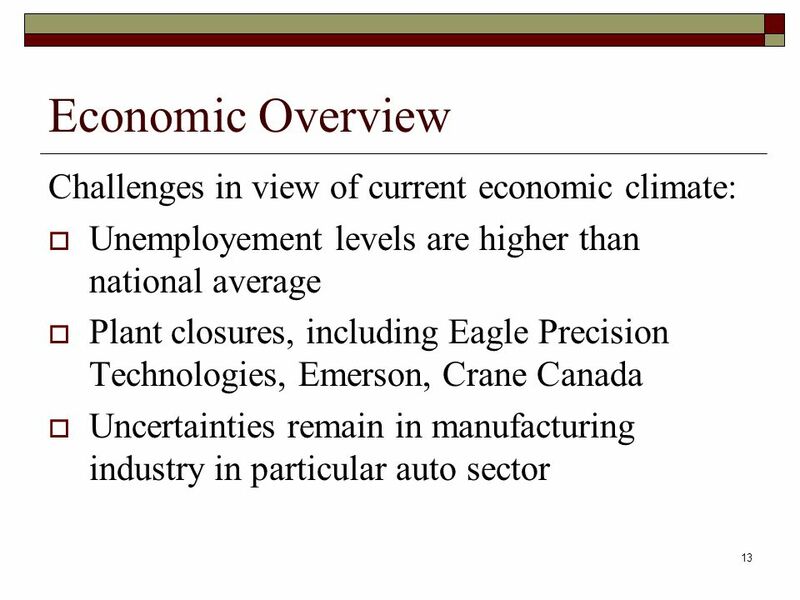 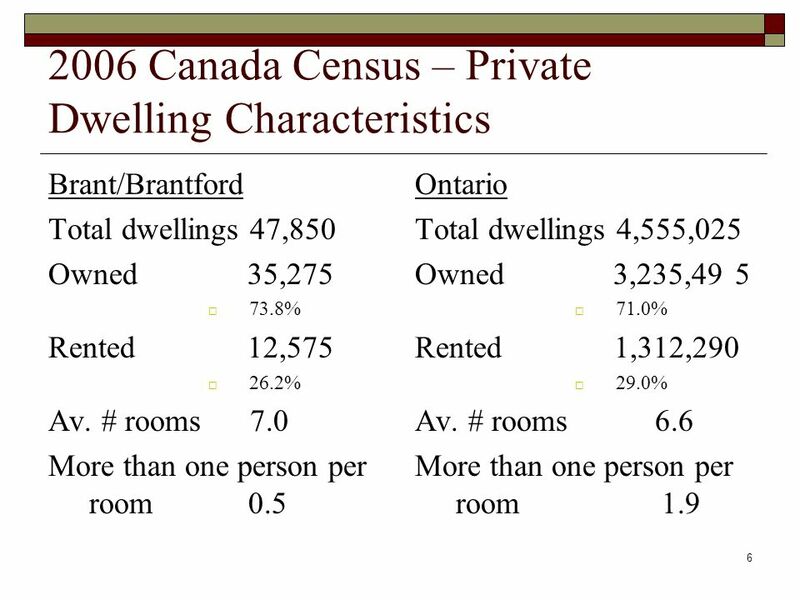 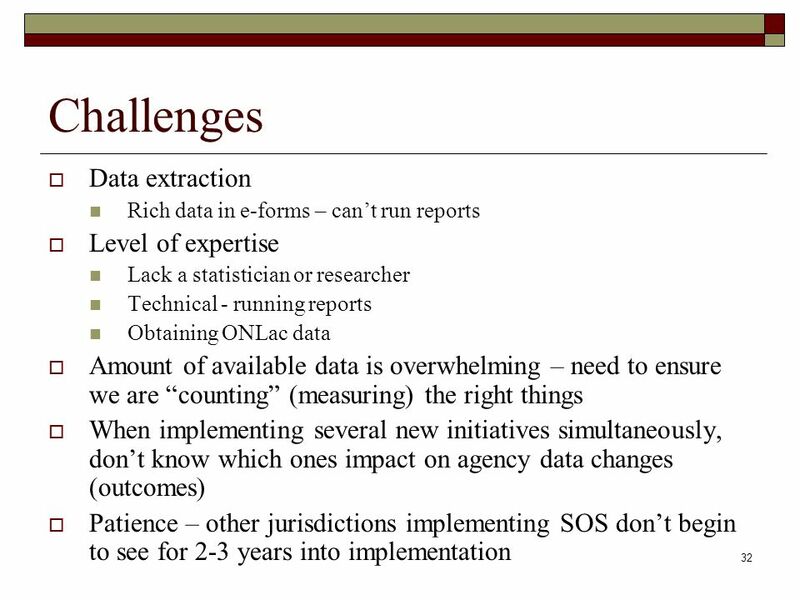 Download ppt "Childrens Aid Society of Brant 2008 – 2009 BALANCED SCORECARD."